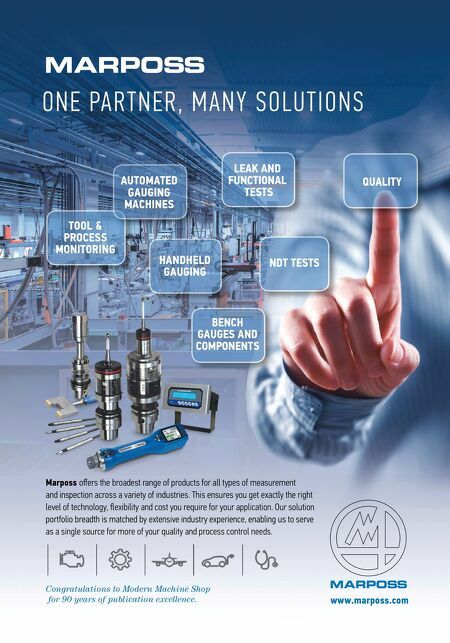 Marposs offers the broadest range of products for all types of measurement and inspection across a variety of industries. This ensures you get exactly the right level of technology, flexibility and cost you require for your application. Our solution portfolio breadth is matched by extensive industry experience, enabling us to serve as a single source for more of your quality and process control needs. 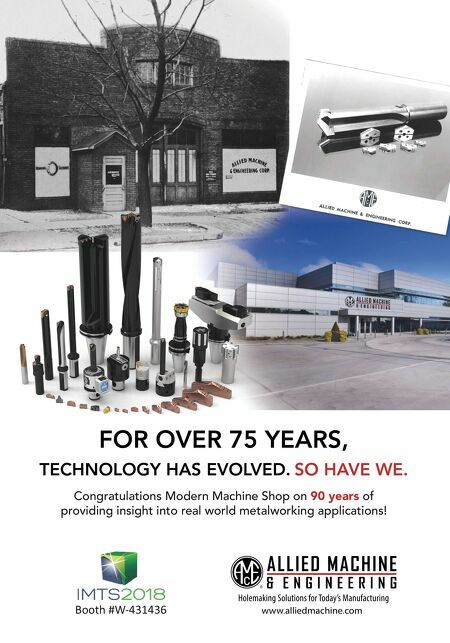 www.marposs.com O N E PA R T N E R , M A N Y S O L U T I O N S TOOL & PROCESS MONITORING HANDHELD GAUGING AUTOMATED GAUGING MACHINES BENCH GAUGES AND COMPONENTS LEAK AND FUNCTIONAL TESTS NDT TESTS QUALITY Congratulations to Modern Machine Shop for 90 years of publication excellence.